This weekend I was doing a spring-cleaning project (more about that below) and found some books that would also be appropriate for Women’s History Month. The books highlight the lives of Helen Keller, Rosa Parks and Claudette Colvin. Do you know what these women have in common? They are all from Alabama! Helen’s Big World: The Life of Helen Keller by Doreen Rappaport and Matt Tavares is a picture book biography that uses quotations from Helen Keller to tell her own story. It is enhanced by big, beautiful illustrations. Time For Kids: Rosa Parks: Civil Rights Pioneer (Time for Kids Biographies) by Editors of TIME For Kids with Karen Kellaher covers the life of Rosa Parks. The central theme is how she came to be an icon for civil rights. With a focus on the events that swirled around bus #2857 during the 1950s in Montgomery, Alabama, Kittinger reveals a pivotal moment in the Civil Rights movement. Claudette Colvin: Twice Toward Justice by Phillip Hoose was a Sibert honor winner in 2010. Before Rosa Parks, there was a teenager named Claudette Colvin who also refused to go to the back of the bus. With her role in history largely forgotten, Philip Hoose brings her back to her proper place. S0, what is the spring-cleaning project? I am working on the Wrapped in Foil website Reading Across the States. I started with the first state in the alphabetical list, Alabama. Background: A few years ago a friend of mine was planning a trip across the United States with her children and she wanted suggestions for books to read on the trip. Taking up the challenge, I created a list of children’s books for each of the states. Thinking others might benefit from my research, I have since developed a website that I update from time to time. Right now the nonfiction sections of each page in particular could use some revising. We’ve Got a Job: The 1963 Birmingham Children’s March (Jane Addams Award Book by Cynthia Levinson tells the unpublicized story of the 4,000 black students who went to jail voluntarily in Birmingham, Alabama, between in May 1963 to fight segregation. Alabama (From Sea to Shining Sea, Second) by Kathy Feeney is an informational book with maps, history, landmarks, natural resources, recipes and everything else you would expect to describe a state. It also contains a nice timeline of events that shaped Alabama. 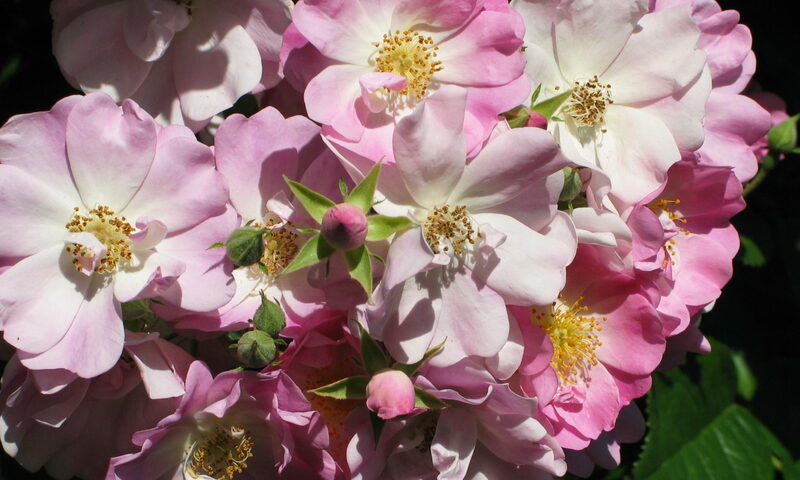 Alabama (Hello USA) by Dottie Brown also has maps, songs, and recipes, as well as colorful photographs. Alabama (This Land Is Your Land) by Ann Heinrichs is organized into sections for ease of finding information. It describes the history of Alabama, starting with the Native Americans. It also contains information about jobs, cultural life and significant landmarks. Alabama Facts and Symbols (The States and Their Symbols) by Emily McAuliffe is for the slightly younger reader. This title really focuses on the symbols for the state such as its name, flag and nickname. Other symbols covered include state tree, insect and reptile. 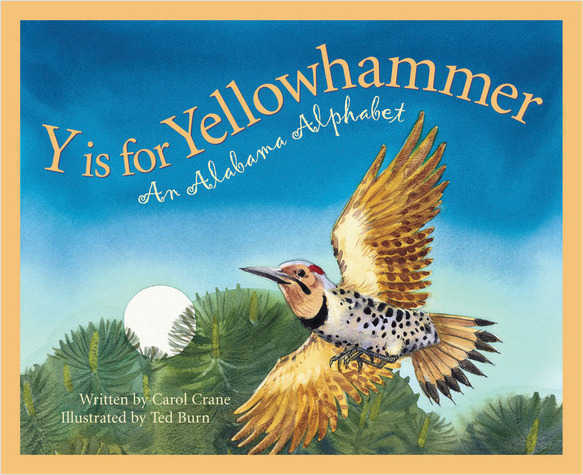 Y is for Yellowhammer: An Alabama Alphabet (Sleeping Bear Press) by Carol Crane and illustrated by Ted Burn features people and landmarks from throughout Alabama, Y is for Yellowhammer uses a two level approach to appeal to a wider range of ages. 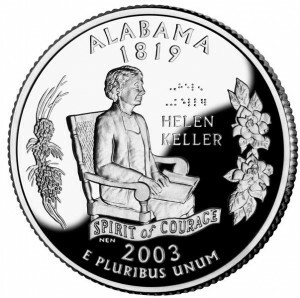 Are you reading doing a unit on Alabama or want to take a trip there? The Alabama Department of Archives and History has youth activity sheets, plus a wealth of other information under the “Education” tab. Are you from Alabama? I could use your help to make this resource as useful as possible. Do you have any books or other resources to suggest for this list? If you chose, please leave a comment. If you have reviewed books about or set in Alabama, feel free to leave a link as well. Thank you. Disclosures: I am an affiliate with Amazon so I can provide you with cover images and links to more information about books and products. As you probably are aware, if you click through the highlighted title link and purchase a product, I will receive a very small commission, at not extra cost to you. Any proceeds help defray the costs of hosting and maintaining this website. Nonfiction Monday is a blogging celebration of nonfiction books for kids. Join us at the new Nonfiction Monday blog. Are you interested in children’s books about states or that have strong settings? I have a list of children’s books by setting at the Reading Through the States. It’s Arizona’s centennial year, and to celebrate let’s take a look at two books about Arizona’s history that are sure to excite children: Arizona Way Out West & Witty: Awesome Activities, Humorous History, and Fun Facts! by Lynda Exley and Conrad J. Storad, illustrated by Michael Hagelberg and Arizona Way Out West & Wacky: Awesome Activities, Humorous History and Fun Facts! by the same team. Conrad Storad is well-known here in Arizona for his children’s picture books with Southwest themes, as well as science topics. Lynda Exley’s son, Michael J. Moorehead, is also known in Arizona because he is already a published author, at 12! (He wrote The Student From Zombie Island: Conquering the Rumor Monster). In case you are wondering why there are two titles in the series, Arizona Way Out West & Witty is presented as a library edition. It is in chapter book format and is not consumable, and it comes with a curriculum guide in the back. On the other hand, Arizona Way Out West & Wacky is an activity book that covers the same material, but in an interactive, consumable way. It has word searches, crossword puzzles, and coloring pages, as well as other fun activities. I thought that was an interesting way to solve an age old dilemma. How do you market consumable books to libraries and schools, yet keep the activities fun and interactive for children? It seems that having two formats might be one answer. Now I wonder how sales of the two books compare, and whether having such similar titles is resulting in any confusion. I do know that Arizona Way Out West & Witty was chosen as the 2012 ONEBOOKAZ for Kids winner. Are you interested in other books about Arizona? I have a list of fiction books set in Arizona and nonfiction books about Arizona at the Reading Through the States. Arizona Way Out West & Witty: Awesome Activities, Humorous History, and Fun Facts! This week’s round-up is at Simply Science. Time to celebrate at Wrapped in Foil blog this week! The good news is pouring in. Drum roll please: I finished putting up an entire website of Reading Through the States. Last summer I posted a list of children’s books, one for each state. The blog post has been so popular that I decided to create an entire website. It should be useful for people doing state studies, for those who are traveling, and anyone who wants to read their way across all 50 states. If you have any additions of children’s books with strong settings, I’d love to hear about them. Today the Cybils Non-Fiction Picture Book Panel has been announced. If you go to the Round II judges, you will notice that I’ve been chosen for 2010! I can’t wait for the nominations to start. Be sure to visit the website on October 1 and nominate your favorite nonfiction picture books that were published in the last year. Thanks to everyone who participated in the Nonfiction Monday carnival yesterday. There was a wonderful turnout, and it was nice to hear from old friends and meet some new ones. Update: Visit our website Reading through the States for children’s books by organized state. Ever since I started the States of Children’s Books List, I have been running across books that should be added to the list of books for children to read while traveling across the United States. A popular addition to the Dear America Series. The Scrambled States of America by Laurie Keller – the book and the game.